A Capitol Police explosive ordnance team was dispatched to a House of Representatives mail processing facility in Capitol Heights, Maryland, following a string of suspected explosive devices sent to prominent Democrats. The package in question was addressed to California Democratic Rep. Maxine Waters. Since the anthrax attacks in 2001, mail for Congress has been sent to offsite facilities for screening. House and Senate mail is processed separately in two Maryland facilities. This means that mail can take anywhere from 10 to 14 days to reach its destination. “Under no circumstances should anyone ever bring unopened mail or packages from outside the Senate into their offices,” said a communication to Senate staff from the Sergeant-at-Arms Wednesday afternoon. “It is a violation of policy — and may be extremely dangerous — for any person to introduce any sealed mail item to the Senate office buildings or the Capitol, or to accept mail from anyone other than a uniformed Senate Post Office employee or a Government courier bearing an official Government ID,” said the email to Senate staff. Earlier Wednesday, suspicious packages were sent to the homes of the Clintons and Obamas and CNN’s New York headquarters. Democratic donor George Soros had a similar package sent to him this week. The packages sent to former President Barack Obama and the Clintons were intercepted by the Secret Service during routine mail screening procedures. The packages were identified to be potential explosive devices, according to a Secret Service statement. New York officials described the devices sent to CNN as “pipe bomb” devices. Multiple packages containing possible explosive devices, similar to the one pictured below, have been located in NY & DC. Rep. Debbie Wasserman Schultz, former chairwoman for the Democratic National Committee, was sent a package that prompted evacuation and a police investigation in Sunrise, Florida. Wasserman Schultz didn’t attend a fundraiser for congressional candidate Donna Shalala in Coral Gables with Hillary Clinton as planned Wednesday. The packages will be transported to the FBI Laboratory in Quantico, Virginia for analysis, but the bureau is calling on the public to share any information they may have. It is possible that additional packages were mailed to other locations, according to an FBI statement. 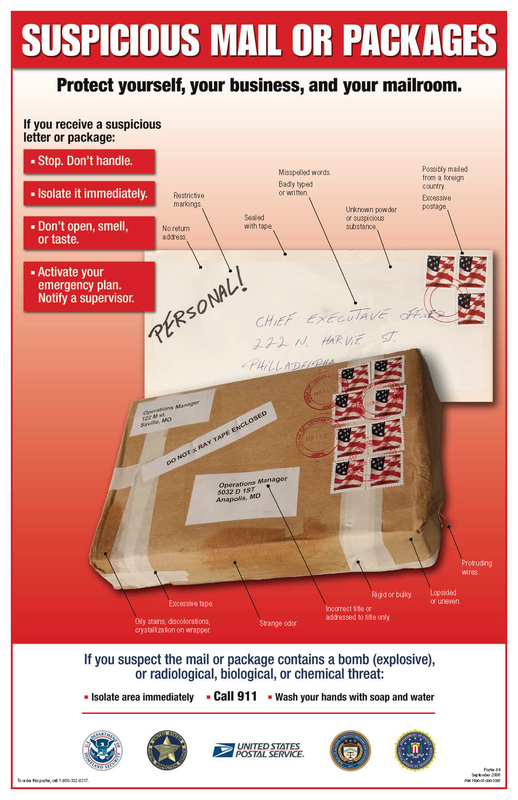 The Senate Sergeant-at-Arms reminded Capitol Hill staff about the dangers of suspicious packages Wednesday.